Beier Machinery high quality PVC mixer machine is developed on the basis of introducing advanced technology from abroad, and it is mainly used for material-prescribing, mixing, coloring and desiccating various kinds of resin and PE, PP, PVC, etc. And PVC mixer machine is also capable of desiccating plastic of ABS and polycarbonate and so forth. 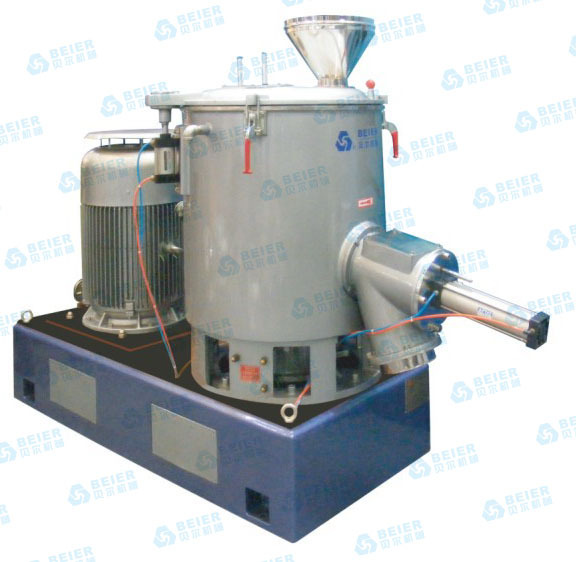 Combining hot mixing with cool mixing, this unit ensures that the material automatically goes into the cold mixing stage after being hot mixed, and it can remove residual gas, meanwhile preventing the material from agglomerating. Beier Machinery high quality PVC mixer machine adopt advanced design and can be operated easily.safely and reliably. PVC mixer machines have small size,light,weight high efficiency,low energy consumption and low noise.It is an ideal choice for you to buy such devices.